According to the research firm IPSOS Mori, the United States ranks second out of fourteen countries in general ignorance about social statistics such as teen pregnancy, unemployment rates, and voting patterns. 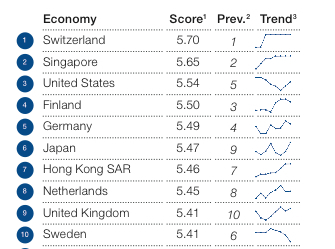 Italy is the most ignorant of the fourteen countries. 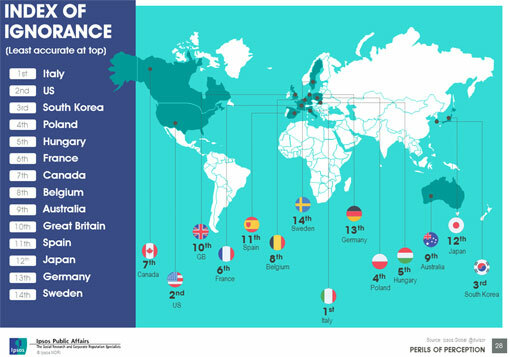 According to the Pew Global Attitudes Project, 58%of Americans have confidence in President Obama, which makes the United States tied for seventeenth with Uganda out of forty-four countries ranked in that category. 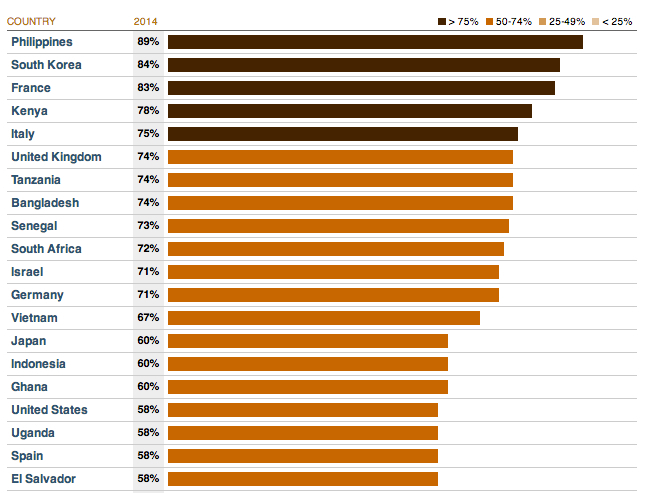 The Philippines ranks first, with 89% of Filipinos having confidence in President Obama. 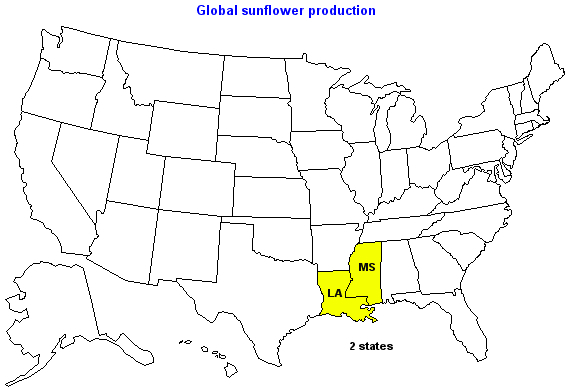 In 2013-2014, the world’s sunflower fields covered about 99,969 square miles. That’s pretty close to the total square mileage of Louisiana and Mississippi combined (100,277 square miles). Here’s something different from what I normally do. 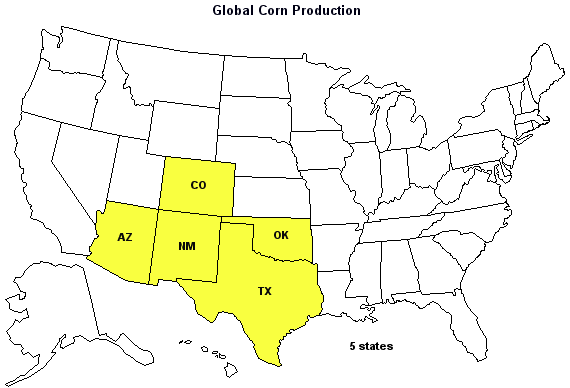 I found myself wondering recently about the amount of corn grown in the world. I found out here that in 2014-15, an estimated 175.5 million hectares of land is under corn production. Well, it turns out that 175.5 million hectares is about 677,606 square miles. 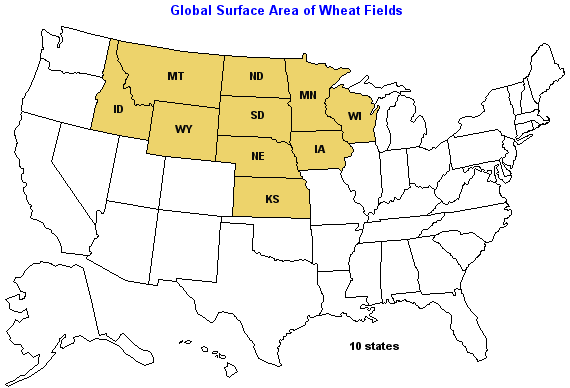 This five states shaded in this map total 678,660 square miles, which is pretty close to the amount of land in the world under corn production. What do you think? Should I post more maps like this?